It’s back! 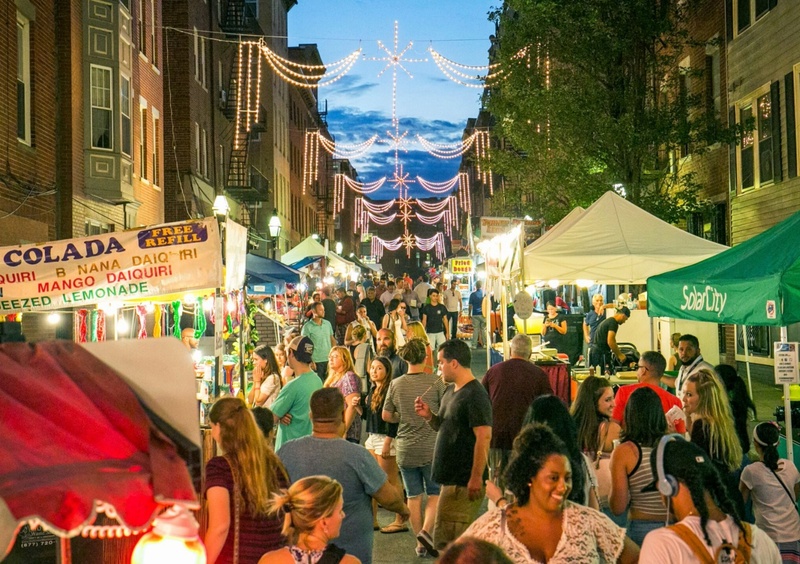 Dine Out Boston takes over the city from Sunday, March 3 to Friday, March 8, and again on Sunday, March 10 to Friday, March 15. Sponsored by American Express, some of the best eateries in Boston and beyond feature reduced-price prix-fixe lunch and dinner menus. With all kinds of cuisines to cater to every craving, Dine Out is the perfect time for business lunches, date nights, or group dinners. BONUS: Social media mavens are invited to share their #dineoutboston pictures on Instagram for a chance to win $100 gift cards to participating restaurants. Follow @DineOutBoston to learn more. Additionally, you can support a good cause while eating great! Proceeds raised from the Dine Out Boston auction* will benefit King Boston, a privately funded nonprofit working to create a new memorial and programs about Dr. Martin Luther King, Jr. and Coretta Scott King throughout the city. The memorial will be a destination that honors the legacy of the Kings, educates the community, and adds to the national conversation about social justice and equality for all. The auction will open Monday, March 4 at dobauction.com. *American Express is not the sponsor of and does not have any affiliation with the program’s charitable component or social media contest. Read more about each restaurant below and reserve your table today for mouthwatering meals at special prices. 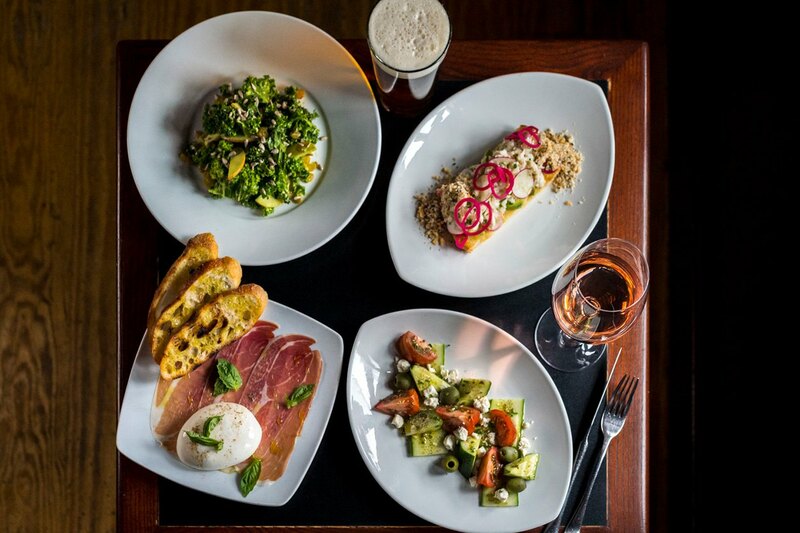 Located on Boston’s ever-thriving Boylston Street in the heart of Back Bay, Back Bay Social is Boston’s neighborhood restaurant and bar for traditional fare, unique cocktails, extensive tap list, and laid-back atmosphere. Joining its award-winning sister restaurants in London and New York, Bar Boulud is a French-inspired bistro and oyster bar from internationally acclaimed chef Daniel Boulud. Specializing in classic brasserie fare, Bar Boulud is known for its delicious French menu, seasonal New England inspired dishes, impressive wine cellar, and signature charcuterie. Bistro du Midi showcases modern Provençal cuisine in a warm, welcoming, and beautiful setting. Inspired by the ingredients and culinary techniques of the Midi region in France, executive chef-partner Robert Sisca presents modern, ingredient-driven creations that are at once refined and approachable. The Capital Grille boasts an atmosphere of power dining, relaxed elegance, and style. Nationally acclaimed for dry-aging steaks on the premises, The Capital Grille serves classic steakhouse offerings such as chops, large North Atlantic lobsters, and fresh seafood. The restaurant features an award-winning wine list and professional, gracious service. Let the masters of steak provide the perfect dining experience. Full bar, reservations recommended. Executive Chef Sean MacAlpine creates contemporary American cuisine with a casual approach and an emphasis on fresh and organic ingredients. Serving breakfast and dinner daily, City Table features a private dining area resting beneath a gold leaf ceiling, which is available for parties, business meetings, events, and private dining for up to 32 guests. 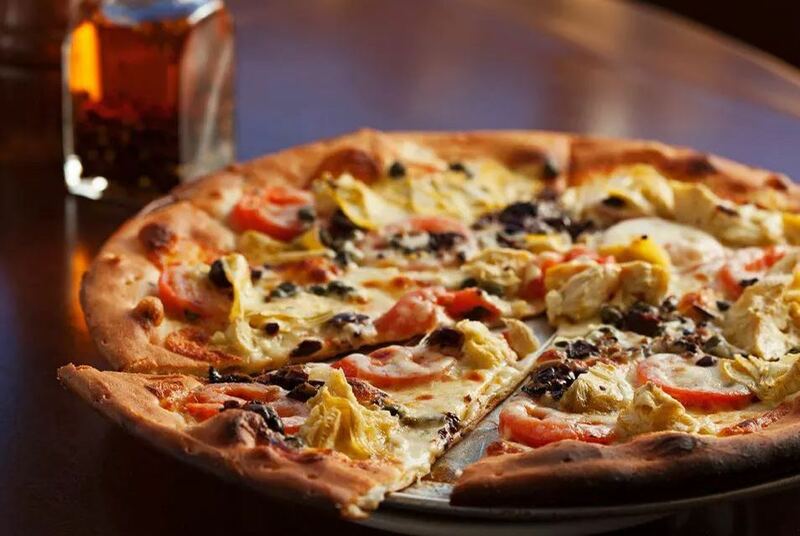 Located between Park Square, the Back Bay, the Theatre District, and South End, Da Vinci’s is one of the newest additions to Boston’s stylish restaurant scene! 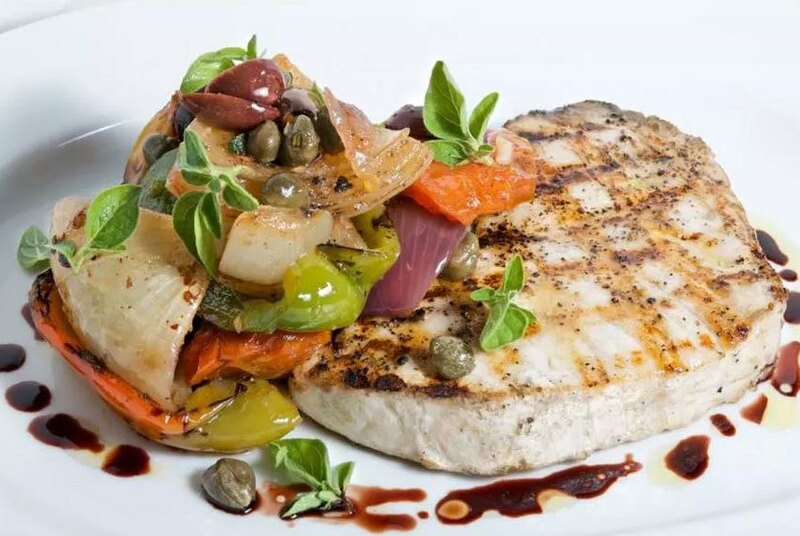 Chef Peppino’s menu reflects a blend of modern and classic Italian cuisine that offers an array of beautifully presented antipasti and entrees. Da Vinci is renowned for its daily homemade pasta, bread, and desserts. Davio’s offers regional Northern Italian cuisine uniquely interpreted by Chef Eric Swartz. Formerly located on Newbury Street, Davio’s relocated to the former Paine Furniture building in Boston’s Back Bay. The restaurant now boasts an enormous display kitchen, an in-house bakery, an open wine room with 300 wines, and parking in the same building! Featuring a spacious main dining room and three versatile function rooms, Davio’s hosts a To-Go Shop in the adjacent galleria of the 10 St. James building. Late night dining. Del Frisco’s Double Eagle Steakhouse is an ultra premium steakhouse providing a distinguished dining experience with personalized service in a breathtaking atmosphere, offering bold, delicious fare complemented by an expansive, award-winning wine list. Fleming’s Prime Steakhouse & Wine Bar pairs a passion for service and seasonal ingredients with the finest USDA Prime beef. They focus on every detail so that you’ll savor every bite. With the Fleming’s 100, an award-winning list of 100 wines by the glass, you can discover the perfect wine for every mood. They also offer private dining rooms that can easily accommodate any size group. At Fleming’s, every visit is filled with indulgent possibilities. Fogo de Chão, located in the heart of Back Bay just steps from Copley Square, is Boston’s authentic Southern Brazilian steakhouse. Fogo offers a prix-fixe menu that features a selection of 16 cuts of meat carved tableside by Brazilian-trained gaucho chefs, as well as a gourmet salad bar. The menu is complimented with decadent desserts, a Wine Spectator award-winning wine list, and signature cocktails. Perfect for group dining, Fogo has several private and semi-private dining areas for parties from 10 to 100-plus. Awards and accolades abound at this Boston landmark. Awarded Best Steakhouse and Best Seafood Restaurant by Zagat Survey, Boston magazine concurs with Best Steakhouse Award. 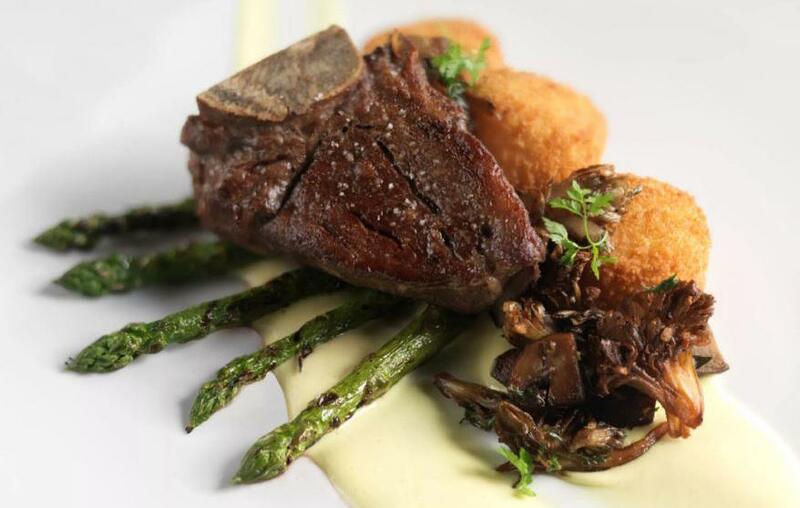 Crisp service and an outstanding wine list complement prime dry-aged beef and fresh seafood. Private dining rooms also available. Two full bars. Reservations recommended. 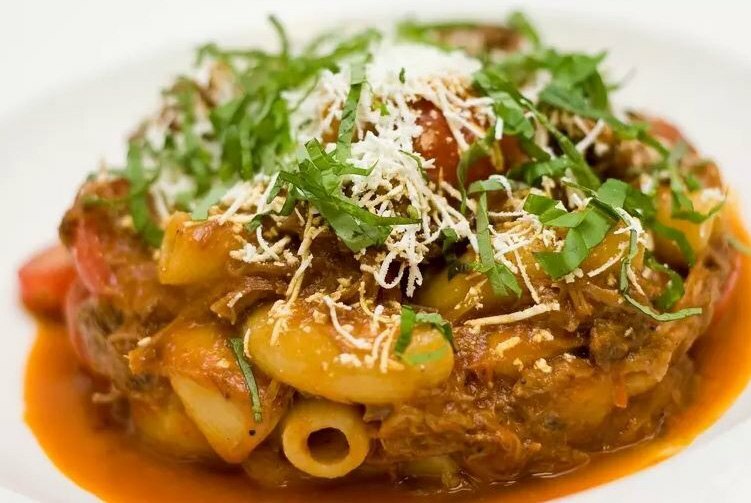 Lucca Back Bay offers acclaimed Italian classics at moderate prices, and visitors to the newest addition to the Lucca family will be pleased to encounter such crossover dishes as the Lucca North End’s signature wild boar with rigatoni, and the crowd-pleasing pappardelle Bolognese. In addition to such favorites, celebrated Chef Anthony Mazzotta, formerly of The French Laundry and Per Se, will be using his extraordinary talents to put his spin on classic Italian cuisine. They look forward to many exciting new signature dishes, served in one of the most dramatic dining rooms in Boston. Elegant local seafood spot with a la carte and tasting menus, plus the more casual lounge, Moon Bar. Italy has changed and so has Italian food. It’s lighter, fresher, more exciting Italian, and it’s just what you’ll find amid the elegant yet comfortable atmosphere that is Papa Razzi. Enjoy lunch, dinner, cocktails, or take-out every day, or try their classic weekend brunch. Children’s menu, late night, and a full bar. Reservations recommended. Post 390 is an urban tavern serving refined American classics and familiar dishes made from the finest local ingredients. Located in the heart of Back Bay, Post 390’s tavern decor is polished yet comfortable featuring two lively bars, fireplaces, an open kitchen, and dramatic city views. Post 390 serves lunch, dinner, and Sunday brunch. Open daily for breakfast, lunch, and dinner, Precinct Kitchen + Bar gives familiar cuisine an innovative twist. Seafood is a specialty, but you can also opt for steak, salad, or a little something from the charcuterie station. The bar offers distinctively handcrafted cocktails, as well as beer and spirits – all served in a warm, intimate setting. A conspiracy of witty pub fare and rebellious spirits. Located in Boston’s historic Back Bay, Sonsie is the oldest restaurant on Newbury Street. It’s the place to see and be seen. STRIP by Strega, a high-energy concept by famed restaurateur Nick Varano, fuses together the look and feel of a sophisticated, uber-modern steakhouse with that of a sleek, high-end lounge. STRIP by Strega is a neighborhood destination that caters to guests seeking a premier location for a business meeting and those winding down after the workday, while simultaneously serving as Boston’s epicenter for exceptional, inspiring dishes, creative cocktails, and upscale nightlife. Whether you’re hosting a small social gathering or a large business function, STRIP by Strega will help you make it a unique and memorable event. A landmark Boston restaurant located at the top of the Prudential Tower, Top of the Hub presents a very creative American menu highlighted with fresh local seafood. Award-winning pastry chefs prepare an array of unusual and delectable desserts. In addition, this truly inspiring setting offers breathtaking panoramic views of Boston and beyond, providing a unique dining experience for every occasion. With the backdrop of the glittering skyline, Top of the Hub’s spacious lounge is tops for late-night dining, accompanied by live entertainment nightly. 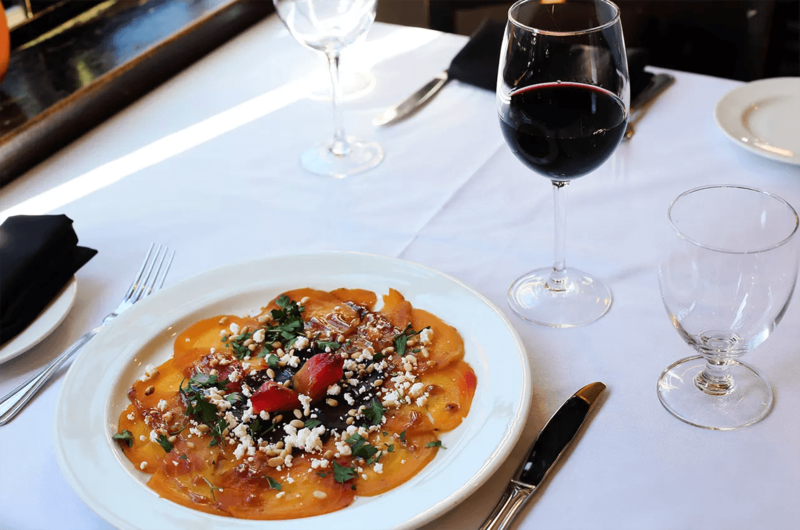 With its refined and comfortable bistro environment at the corner of Charles and Chestnut Streets, Beacon Hill Bistro is the ideal setting for an intimate dinner, a lunchtime business meeting, or an after-theater nightcap. CLINK. offers Bostonians and hotel guests modern American cuisine prepared by classically-trained Chef Joseph Margate. Each dish reflects his intense focus on flavor and dedication to seasonal, sustainable, and local ingredients. CLINK. provides a lively, fine dining experience, with approachable food in a comfortable environment. Grotto is an Italian restaurant on Beacon Hill. Check out Grotto’s Nightly Fixe. Authentic French bistro on Beacon Hill serves delicious and masterfully prepared classics of the Parisian cuisine, such as escargots, steak frites, and crème brûlée. No. 9 Park provides an intimate setting in which to enjoy Chef Barbara Lunch’s refined cuisine in Boston’s historic Beacon Hill. The menu showcases regionally-inspired Italian and French dishes with an emphasis on simplicity and flavors. The wine list includes Old World Wines from boutique vintners selected by wine director Cat Silirie. No. 9 Park continues to set the standard for fine dining in Boston. Scampo restaurant pairs simple, rustic food, chic Italian design, and a glorious open kitchen. Located in the Liberty Hotel, it is a vibrant, gorgeous space and remains a true culinary destination. Toscano is a 126-seat Tuscan-style restaurant located in the heart of Beacon Hill, serving lunch and dinner with private dining available. Casa Caña is a Latin kitchen, patio, and rum bar that features innovative new Latin cuisine or, as the Latin Americans call it, “nuevo latino.” The feeling of somos fiesta is echoed throughout as the bar and patio are fueled by the creative cocktail list that takes inspiration from all over Latin America. Out of the scratch kitchen comes a mix of modern and classic New England cuisine, including dry-aged steaks, fresh local seafood, and “comfort food done well.” At the bar, you will find unique craft cocktails inspired by the golden age of cocktails and a wine list featuring top producers from around the world. Artisan Bistro will serve as a meeting place; a gathering point where guests will mingle during or after work and post-theater over cocktails while enjoying approachable artisanal cooking. The food is aimed at offering fresh local and seasonal dishes, using native ingredients, as well as uniquely sourced products with subtle bistro influences. A fine dining restaurant with excellent service, great food, and amazing atmosphere. See and taste the local flavor in the new dining space for downtown’s hotspot, The Gallery. Chef Derek Barragan’s fall menu is a fusion of cuisines using produce from New England waters and pastures. From fettuccine to bread pudding, menu items are housemade and combined with unexpected ingredients to surprise your palate. In partnership with The Blochaus Gallery, the lofty dining room features rotating exhibits featuring local artists, all available for purchase. The Legal Sea Foods’ flagship location has a two-story cascading fountain, the centerpiece of the restaurant. The restaurant offers more than 40 varieties of fresh fish and shellfish available throughout the year, as well as an award-winning wine list. Visit the kitchen and bar to experience reimagined American fare and rustic comfort food. Pair your meal with a selection from the carefully curated beer and wine list or indulge in an inventive craft cocktail. The creative menu pairs fresh, local ingredients with modern interpretations of classic American cuisine. Sample a variety of small plates, hearty soups and salads, sandwiches, and entrées. Floor-to-ceiling marble walls, stunning vaulted ceilings, and award-winning steaks paired with innovative sides make the downtown location of Boston Chops one of the city’s most exciting openings of 2018. 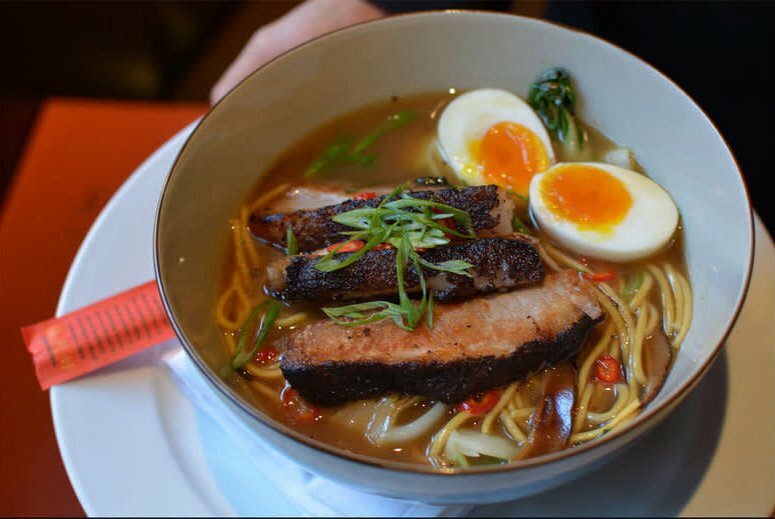 Koy, in bustling downtown Boston, is located next to the historic Faneuil Hall Marketplace. Koy offers Asian fusion cuisine, as well as traditional Korean dishes. Koy serves specialty handcrafted cocktails and boasts an extensive bourbon and scotch collection. The kitchen is open with a full menu from 11 a.m. until midnight every day of the week. A delicious lunch menu is also available Monday through Fridays. A cozy French bistro featuring fresh seafood, French classics, and live jazz. With an extensive wine list and a full bar, Lez Zygomates offers two bars and three dining rooms for unique dining experiences to suit all tastes. Oyster Happy Hour at the bar is Monday through Friday, 4 to 7 p.m. Private dining room also available. Henry Marliave, a French immigrant from Paris, arrived in Boston with a collection of recipes and the dream of finding success in the United States. Marliave achieved his American dream by opening his namesake: Restaurant Marliave at 10 Bosworth Street in 1885. The Boston dining landmark has been reopened by Grotto chef/owner, Scott Herrit. Located at the Faneuil Hall Marketplace, McCormick & Schmick’s Seafood & Steaks offers fresh seafood and shellfish, aged steaks, and garden fresh salads. Steps from historic Faneuil Hall and the Freedom Trail is the award-winning North 26 Restaurant and Bar. Enjoy favorites like the cinnamon challah French toast and Maine lobster and shrimp omelet. You’ll find a team of culinary masters and service professionals that will ensure a mouthwatering meal. Sleek as a 1930s ocean liner, The Oceanaire offers a classy, special setting perfect for any event. With space to accommodate 15 to 315 guests, The Oceanaire’s private rooms and main dining room can host receptions, business lunches and dinners, company functions, celebrations, banquets, holiday parties, and more. You and your guests will enjoy a menu of ultra-fresh fish and excellent service in a relaxed, yet elegant atmosphere. A modern izakaya and sushi bar by Chefs Michale Mina and Ken Tominaga, PABU presents a menu ideal for convivial dining with small plates, sushi, robatayaki, entrées, steaks, and desserts. At The Palm, the philosophy is simple: treat guests like family, serve great food, and always exceed expectations. They’re bigger and better than ever at the new 1 International Place location, serving up Palm favorites in the beautiful dining room and scenic patio. Join them for the best, USDA prime-aged steak, jumbo Nova Scotia lobsters, heritage Italian entrées, and premium seafood cooked to perfection. You won’t find this service or atmosphere anywhere else. A modern, contemporary Asian fusion restaurant serving a combination of Chinese, Japanese, and Thai cuisine. The most special dish is the Mongolian Hot Pot, which has become a trend all over the world. Welcome to Ruth’s Chris Steak House. Look around. Have a seat. If this is your first visit, prepare to taste the greatest steak you’ve ever eaten. As founder Ruth Fertel used to say, “If you’ve ever had a filet this good, welcome back.” They take steak seriously, but they’re also serious about making sure you have a good time. So you won’t find the stodgy, uptight attitude you might find at other steakhouses. Feel free to laugh out loud. Stay a while. Experience the sizzle. Above all, enjoy yourself. A welcoming contemporary restaurant with a touch of rustic charm, State Street Provisions is today’s answer to the taverns that once offered respite to the fishermen and tradesmen who worked in Boston’s bustling Long Wharf. Historically inspired, but forward-thinking food and drink menus feature fresh ingredients from near and far, while the comfortable space meets the needs and passing fancies of residents, workers, and visitors alike. America’s oldest restaurant, established in 1826, is located on the Freedom Trail near Faneuil Hall. Specializing in hearty portions of Yankee-style seafood, lobster, and shore dinners, served in a lively, quaint historic setting. Children’s menu, full bar, and private dining room are available. Reservations recommended. Step into a turn-of-the-century Venetian bacaro and join the bustle of the bar or dine among friends in the lively restaurant. Feast on traditional Northern Italian cuisine while drinking spritzes or sampling the regional wines. Sofia is an elegant Italian steakhouse providing an urban dining experience in a suburban location. The mission is to provide every one of their guests with an outstanding dining experience! Nestled in the courtyard in Roslindale Village, Sophia’s Grotto awaits your discovery. Upon entering, the aroma of the wood oven, the warm glowing decor, and the delectable Mediterranean dishes will greet you. Discover your home away from home. Located in Boston’s North End, Antico Forno’s specialty is Southern Italian cuisine, distinctly fresh and savory. In an atmosphere that is casual and relaxed, enjoy delicious food at reasonable prices. The first glimpse of the wood-burning stove warms the soul and gives an immediate boost to the appetite. Full bar, private dining room, reservations recommended. Charming neighborhood hideaway serving cuisine-jumping, Mediterranean small plates. Located in Boston’s North End, Arya features a mix of modern and old-world Italian cuisine while paying homage to Massimo family roots from Abruzzi influences. The menu is built on simple pasta and antipasti, as well as a healthy dose of grilled meats, fish, and poultry dishes. Intimate bi-level eatery for romantic dining, offering Italian-American classics and a full bar. Classic Italian cuisine with modern ambiance. BRICCO’s boutique Italian cuisine is unique, personal, and created for a select and sophisticated diner. The food is complemented by a wine bar with an exceptional selection of Italian wines. BRICCO’s modern interpretations of regional Italian dishes have garnered superlative reviews. Experience a slice of Italy when you walk through the door of BRICCO: a warm welcome, incomparable cuisine, and a lively late scene. Intimate music venue, fully functioning winery, restaurant, and unique event space. Legal Oysteria is a casual neighborhood restaurant serving coastal Italian-style seafood. Executive Chef Rich Vellante developed a menu based on the food he cooks at home for family and friends. Legal Oysteria’s menu showcases the freshness and purity of its seafood offerings and other ingredients. Preparations are simple and authentic. A brick oven (with pizza oven and rotisserie) informs the menu. There are options for those who choose to table share or prefer more traditional coursed dining. The bar program was designed to complement the cuisine. By tradition, an osteria is casual, comfortable, and accessible; Legal Oysteria aspires to afford that same experience. Upscale regional Italian restaurant accommodating up to 250 guests seated. Full liquor license and extensive “Wine Spectator Award-Winning” wine list. They validate and offer valet parking. Four private rooms available. Mamma Maria is a world class restaurant in the North End. Set in a nineteenth-century brick row house with five private dining rooms, Mamma Maria transports you to la Patria with an old-world intimacy, attention to detail, and a warm welcome. 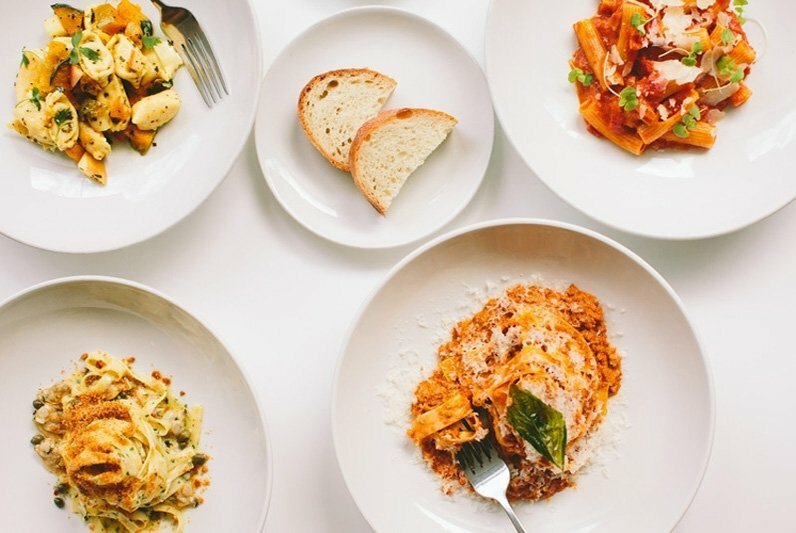 The seasonally inspired menu taps into a unique network of local and national purveyors with an emphasis on historical and traditional Italian dishes. Mare is not your typical North End restaurant. The menu is light and healthy. It treats all the ingredients with respect in order to highlight their natural flavors and not to cover them up. Mare’s Miami cool interior, unbeatable city views, and solicitous service draw crowds of all ages for the BBQ octopus, homemade pastas, whole-baked sea bass, stuffed lobster, and more. Mare serves beer, 33 percent organic wine list, and cordials. Nico Ristorante is an award-winning Italian restaurant in the North End. A contemporary grill, pizzeria, and rotisserie, Quattro is open seven days a week for lunch and dinner with a menu featuring small plates, roast meat paninis, pasta dishes, grilled meat, and fresh seafood. A sophisticated ristorante serving up a seasonally inspired, classic Italian menu. Dine on everything from fresh, handmade breads and pasta to old-world Italian plates to inventive, locally sourced seafood dishes. Ristorante Fiore is an elegant, warmly decorated restaurant that welcomes everyone. Since 1976, traditional Northern Italian fare and fine Italian wines in an Old World setting have made Villa Francesca the perfect place for business or romantic dinners. Full bar, late night dining, reservations recommended. Strega Ristorante offers the finest Italian food in the North End. A dining experience that even celebrities are bragging about. Acapella performances every Tuesday evening. Open seven days from noon to 11 p.m.
One of the country’s best for Northern and Southern Italian cuisine. Terramia’s 40 seats are filled by savvy diners, including owners of other restaurants paying the ultimate compliment. Reservations recommended. Please enjoy dinner at Ray Bourque’s Tresca and meet the new Chef-Owner Rich Ansara. Relax while enjoying the romantic atmosphere of a restored old-world Tuscan villa while savoring the authentic Italian dishes, carefully prepared using only the finest ingredients by Chef Ansara. Trattoria Il Panino is a multi-story fine dining and entertainment complex offering the finest Mediterranean and Tuscan cuisine, plus a variety of entertainment. Mario Batali’s wood-burning pizzeria, also featuring a variety of seasonal antipasti, pasta, and housemade gelati. Bastille Kitchen is a modern French bistro. The design concept, like the food, is honest and straightforward. The room has exposed brick and beams, wood floors, and Edison bulbs for lighting. Open seven days per week, featuring two private dining rooms and a lovely lounge. Ming’s Tsai’s Asian gastropub. 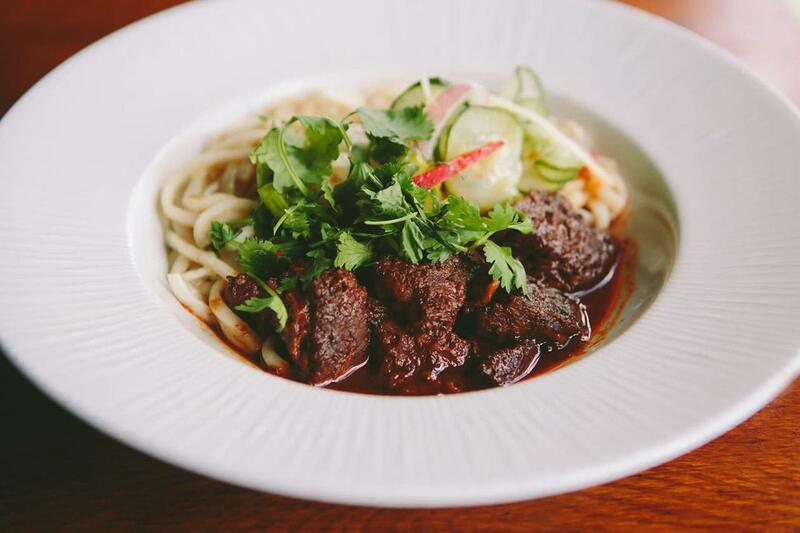 Located in the heart of Fort Point Channel, Blue Dragon is a comfortable, neighborhood place to simply hang out, have a drink, and enjoy some incredible food. The tapas-style menu adds Ming’s East-West twist to many pub favorites. The bar is well-stocked with a number of craft beers, worldly wines, premium sakes, and signature cocktails. A steakhouse that focuses on USDA prime beef. 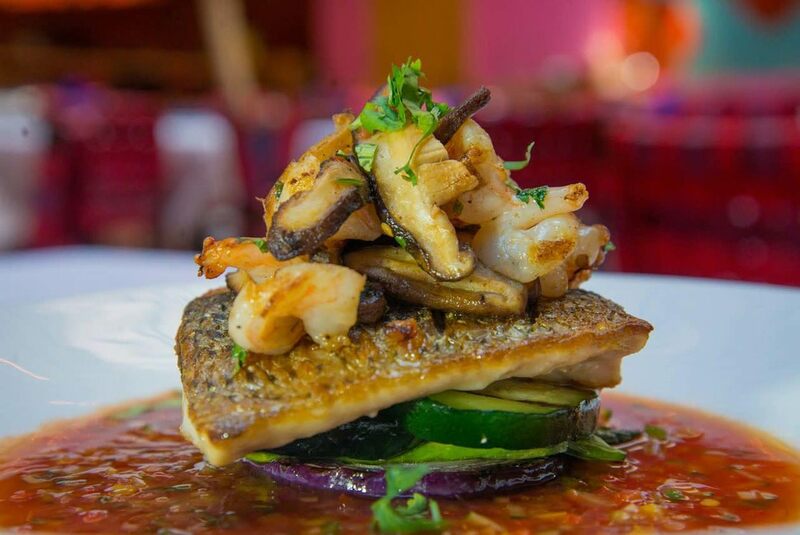 The freshest seafood, an expansive wine list, and service second-to-none. Del Frisco’s promises an unforgettable experience in a stunning and energetic setting. Perfect for special occasions, business affairs, or just a night on the town. Del Frisco’s’ famous hospitality will be sure to exceed expectations. Gather is a full-service restaurant and bar overlooking Boston Harbor that serves inventive, modern American-inspired cuisine to accommodate all palates. They believe local is better, and that’s why all of their ingredients are sourced from neighboring areas whenever possible. A sister restaurant to LoLa 41 in Nantucket, LoLa 42 stands for longitude and latitude and the number represents the parallel that each restaurant resides on. All aspects of the restaurant have been influenced from the countries and regions that these parallels cross through. The menu celebrates all things land and sea with an emphasis on prime steak, locally sourced fish and oysters, sustainable caviar, handmade pasta, and alluring desserts. All of this is designed to tell the story of farmers, artisans, foragers, and winemakers in a very personal way. Dine in a space with distinct lighting, a sleek 20-seat bar, and an atmosphere like no other. Mastro’s combines world-class service, highly acclaimed cuisine, and live entertainment in an elegant yet energetic atmosphere. Open for dinner nightly and weekend brunch. Named for a French seaside town a few steps away from the Italian border, Menton is located in Boston’s Fort Point neighborhood, moments away from the financial district and Boston Convention and Exhibition Center, and is the city’s only Relais & Châteaux, AAA five-diamond, and five-star property. Renowned from coast to coast for its signature menu, club-like atmosphere, and legendary hospitality, Morton’s The Steakhouse in Boston’s Seaport District follows the company’s tradition of serving only the finest quality foods, featuring USDA prime aged, grain-fed beef, fresh fish and seafood, choice produce, and a selection of delicious appetizers and decadent desserts, all prepared to perfection and served in a lively atmosphere. Enjoy Bar 1221, Morton’s new enhanced bar with seating for dining, plasma screen televisions, a special ‘Bar Bites’ menu, and the best top-shelf libations available, including Heavenly Mortini’s. Ask and you shall receive at Ocean Prime, the award-winning restaurant and lounge from renowned restaurateur Cameron Mitchell. The menu unites fresh seafood and choice steaks, while a service team steeped in the traditions of Midwestern hospitality work to ensure that each and every guest feels like a VIP. Serving authentic, regionally-inspired Mexican cuisine since 1984. Don’t miss the famous guacamole or collection of more than 150 fine tequilas. Open for brunch, lunch, dinner, and private dining. The Smoke Shop is a culmination of over two decades of practice, planning, and research from World Barbeque Champion Chef Andy Husbands. The menu showcases slow-cooked, competition-style barbeque including platters of burnt ends, pork ribs, Texas hot links, and brisket with savory sides such as sweet and spicy coleslaw and collard greens. The Smoke Shop also boasts a 200-plus American Whiskey selection and features elevated takes on classic cocktails. Combine all that with family-style hospitality and The Smoke Shop will transport you to your favorite memories of barbeques gone before. Spirit Cruises is the most vibrant and interactive dining cruise experience in Boston. Step aboard for a truly engaging experience on the water filled with grand buffets, nonstop entertainment, dancing, and breathtaking views. Spirit of Boston welcomes groups of all sizes aboard the three enclosed decks and open-air deck. A modern interpretation of the classic diner, Sportello (Italian for “counter service”) offers a menu of Chef Barbara Lynch’s trattoria-inspired Italian dishes, as well as a supremely approachable, artisanal wine list created by wine director Cat Silirie. Located in Boston’s hottest new neighborhood, the Seaport District, Strega Waterfront is the place to enjoy unmatched Italian cuisine and creative cocktails while taking in beautiful waterfront views. Dramatic décor, a bustling social scene, and celebrity restauranteur Nick Varano’s special touches have made Strega Waterfront the number one dining experience in Boston. Tuscan Kitchen Seaport Boston offers private dining, cooking classes, and catering, featuring delicious artisan Italian cuisine, celebrating the culinary traditions of Italy’s uniquely different regions. Perfect for corporate and social dinners, cocktail receptions, and buyouts up to 500. Enjoy the warm, inviting ambiance for lunch or dinner daily, where Tuscan Kitchen promises a special culinary event with each encounter. dbar is Dorchester’s premiere destination for fine dining, delicious cocktails, and exciting nightlife. 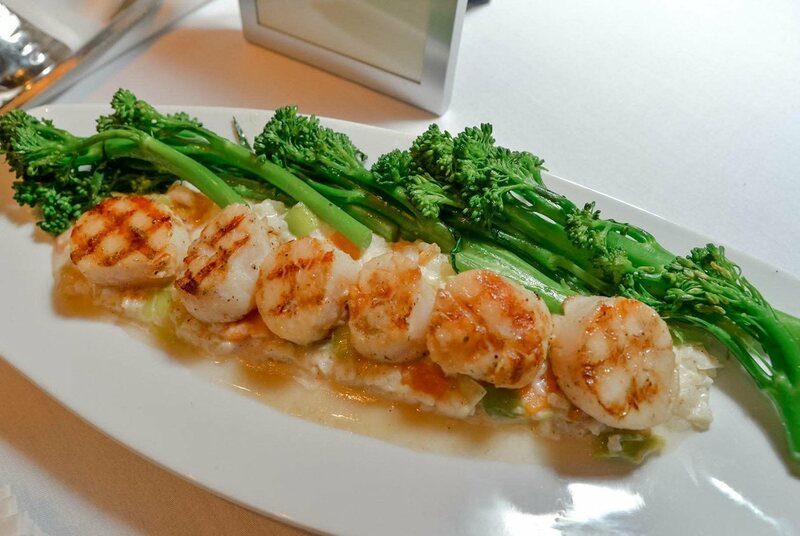 Fine European cuisine and attentive, professional servers await your arrival. Boston’s original bistro moderne, award-winning Aquitaine offers French bistro classics and an authentic Parisian dining experience to the South End neighborhood. Celebrating 20 years of service, Aquitaine features dishes made with fresh ingredients sourced locally, an ambitious wine program, as well as an impressive seasonal cocktail menu. Aquitaine is open seven days a week for lunch, brunch, and dinner. 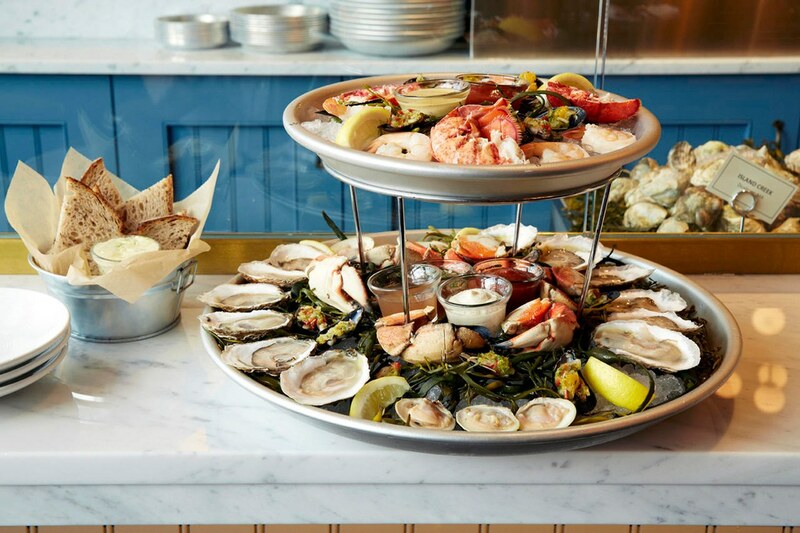 Located in Boston’s historic South End, B&G Oysters is Chef Barbara Lynch’s modern take on a classic oyster bar. Underground bohemian bistro with live entertainment. An urban steak bistro that’s a casual, yet refined twist for which steakhouses are well-known. A tribute to the old world European boucheries, The Butcher Shop is both a neighborhood wine bar and a full-service butcher shop. Inspired by Chef Barbara Lynch’s travels throughout France and Italy, The Butcher Shop is the perfect place to have a glass of wine along with a small bite or linger over a meal. In the back, glass-front refrigerated cases are stocked with links of the shop’s very own sausages and hot dogs, jars of rich demi-glace, slabs of foie gras, and exquisitely marbled cuts of local beef, along with freshly prepared dishes from the kitchen. Cinquecento is an Italian restaurant in Boston’s South End. The cuisine is Roman style, utilizing simple and fresh ingredients with a 100-percent Italian wine list. The private dining room is on the main floor, enclosed by French glass doors looking outside onto a private patio. Amenities include a private bar, 46” LED TV with full presentation capabilities, and Wifi. Complimentary parking will be available to all guests during their event. Recently relocating to Washington Street after operating for 20 years on Beacon Street, The Elephant Walk South End offers a unique combination of French and Cambodian cuisine by Chef Nadsa de Monteiro. Estragon Tapas Bar is inspired by the supper clubs and salons of 1930 Madrid. Estragon brings old-world charm and a bohemian flair to the tapas experience. The menu focuses on the fresh and the simple, traversing the entire culinary landscape of Spain, and with an all-Spanish, all-affordable wine list, a night at Estragon is like a night in Madrid – or the very next best thing! Gaslight, Brasserie du Coin (brasserie on the corner) is The Aquitaine Group’s classic neighborhood Parisian brasserie. Gaslight offers its guests French brasserie cuisine of impeccable quality and improbable value in an informal, “old world is new again” setting. Masa offers Southwestern cuisine with a fun and lively environment for cocktails, tapas, dinner, and brunch. Relaxed, romantic neighborhood bistro presenting creative, European-inspired menus. MIDA is a South End Restaurant, inspired by the simplicity of classic Italian dishes. The menu focuses on many regions of traditional food and culture, using fresh seasonal ingredients. 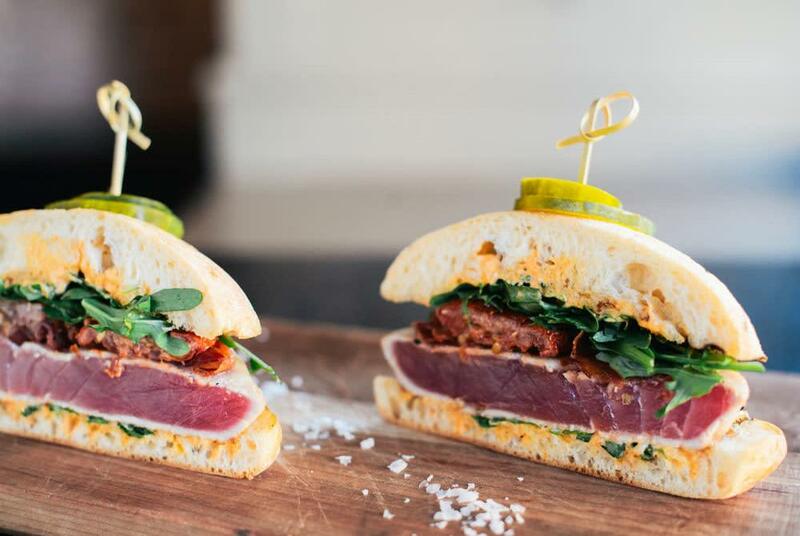 Adding a modern twist to classic New England cuisine, dining at Battery Wharf Hotel, Boston Waterfront brings land and sea together to honor the region’s fishermen, farmers, and culinary artisans. Set against the breathtaking backdrop of Boston Harbor, Battery Wharf Grille is a loved-by-locals favorite. Stellar, chef-driven menus and a sprawling footprint make it equally suited for casual all-day dining, drinks on the Terrace around an urban fire pit, wine dinners at the chef’s counter, and handcrafted cocktails in the Battery Lounge. Chart House is located on Boston’s Long Wharf in the historical John Hancock Counting House. Combine the extraordinary setting with outstanding cuisine and you’ll see why it is a longtime favorite. Choose from famous entrées such as macadamia-crusted Mahi, miso-glazed salmon, and whole Maine lobster, cracked right at your table. Daily selection of fresh fish, extensive wine collection, and the original hot chocolate lava cake. Valet parking and happy hour. Boston’s first Provence-themed brasserie celebrating the organic wonders known to this fascinating region of France. Open 24 hours. This new restaurant has the classic steakhouse feel. The interior is designed with rich wood, supple leather, custom antique light fixtures, floor-to-ceiling windows, and European-style exposition kitchen. The inside bar features a full-service oyster bar. The inside dining room and bar will seat up to 280. The restaurant features an outside patio with dining, full-service bar, and lounge seating for up to 125. There are three intimate private event rooms for up to 40 guests. Waterline in the Marriott Long Wharf Hotel is serving a three-course menu of traditional fare. Want a meal with a view? Waterline overlooks the scenic Boston Harbor so you can enjoy your meal with a sight of the skyline. 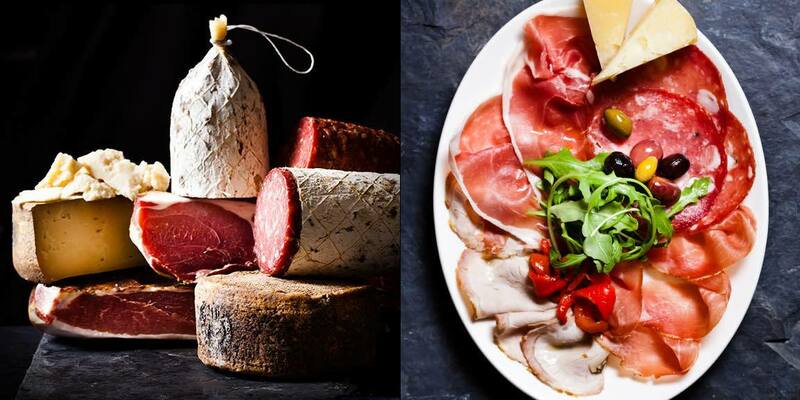 La Morra features traditional Northern Italian cuisine, cicchetti (Venetian tapas), and a nightly prezzo fisso menu. The menu revolves around a wood grill for preparing meals, local fish, and locally farmed vegetables. La Voile or “The Sail” welcomes you to one of Boston’s most authentic French restaurants. La Voile has all the casual elegance of a Brasserie and the warm hospitality of a bistro. Osaka is the only Japanese steakhouse (Hibachi restaurant) in Brookline or Boston. Osaka functions in two fantastically different ways: entertaining Hibachi grill show and quiet sushi rooms. Osaka has extensive menus of traditional and creative Japanese cuisines and full drinks. Come enjoy the fun and unique dining experience! Located just one block from the Green Line Coolidge Corner subway stop. The goal is to provide a one-of-a-kind experience in a friendly and diverse atmosphere. Guests can look forward to socializing while enjoying good food, drink, and the company of neighbors and friends, while celebrating New England’s awesome sports teams. They aim to combine culinary excellence, hospitality, awesome music, and an unforgettable time in a sports-driven environment. ArtBar is a warm, intimate retreat for food and art lovers located inside the Royal Sonesta Hotel Boston. The interior boasts spectacular selections from the hotel’s world-class art collection while the restaurant features innovative, refined, seasonal American cuisine, designed for discovery along with specialty cocktails and a well-curated wine list offering an exciting collection from around the world, all available by the bottle or glass. Patio seating with unparalleled views of the Charles River make ArtBar a great neighborhood destination. Catalyst Restaurant focuses on bright, simple food created from the season’s freshest local ingredients, serious French technique, and an appreciation for the details that go into guests’ experience. EVOO is located in the heart of Kendall Square, Cambridge. The menus feature organic, local, and sustainable ingredients and menus change daily. They work closely with local farmers to source ingredients and have a rooftop garden. They are proud to be a LEED (Leadership in Energy and Environmental Design) Gold Certified Restaurant. Glass House is a restaurant, bar, and modern-day meeting house inspired by the history and present-day identity of Kendall Square. Grafton Street is a combination of traditional Irish pub and contemporary restaurant. Grafton Street features more than a dozen beers on tap and an extensive wine list. Located in Cambridge, Harvest is a culinary landmark specializing in using fresh, local products to create an American-inspired menu. Fresh and honest, Chef Peter Davis has created a cozy, comfortable restaurant at Henrietta’s Table, which honors the culinary bounty of New England. The Hourly Oyster House is a vibrant and welcoming neighborhood outpost in the heart of Harvard Square, where guests can enjoy thoughtfully sourced and playfully prepared seafood and oysters from New England and beyond, as well as a carefully crafted selection of signature cocktails, beer, and wine. With a focus on seafood, The Hourly serves up New England classics in a dynamic and airy space. Instead of traditional bread service, meals begin with fresh homemade salt and vinegar chips and guests are sent home with taffy from Harvard Square neighbor, Cabot’s Candy. The signature dish at Legal Sea Foods: really fresh fish. Legal has long proven that a consistent, high-quality dining experience never goes out of style. With more than 40 varieties of fresh fish and shellfish, there is no doubt why legions of fans have fallen hook, line, and sinker. Offering traditional and contemporary New England cuisine, the sumptuous Sunday brunch and traditional holiday buffets have become Cambridge classics. Breakfast, lunch, and dinner are served in a family atmosphere with style and grace. Located in Harvard Square, PARK is a modern neighborhood restaurant and bar designed to suit today’s drinking and dining needs. A place to grab a quick after-work drink or bite, enjoy a leisurely dinner, linger over cocktails, or spend an entire night, PARK offers a variety of experiences that will feel unique depending on which of the four distinct spaces you’re seated. With an eclectic design aesthetic, PARK is stocked with rousing conversation pieces that range from counter-culture artwork from the 1960s to antique book-lined shelves and a trophy case brimming with myriad oddities. Not to be outdone, Executive Chef Mark Goldberg brings a spirited sense of interpretation to PARK’s New American menu of homey classics, which are served alongside an internationally-inspired collection of craft cocktails, beer, and wine. Led by Chef Will Gilson, Puritan & Company serves primarily modern American cuisine with particular emphasis on traditional New England fare crafted from locally sourced ingredients. Dante is an upscale Italian restaurant with a view of the Charles River, located in the Royal Sonesta Hotel across from the CambridgeSide Galleria. Russell House is a new American tavern serving seasonally changing, classic American fare with contemporary influences, carefully designed cocktails, and a resolute selection of wines and local craft beers. The Smoke Shop is a culmination of more than two decades of practice, planning, and research from World Barbeque Champion Chef Andy Husbands. The menu showcases slow-cooked, competition-style barbeque including platters of burnt ends, jowl bacon, Texas hot links, and meat boards with savory sides such as sweet and spicy collard greens. Complete with a bold and vibrant setting in 1 Kendall Square, Smoke Shop boasts a 100-plus American Whiskey selection featured in elevated takes on Southern cocktails. Live entertainment, full pig roasts combined with family-style hospitality will transcend you to your favorite memories of barbeques gone before. The Smoke Shop offers casual dining for lunch and dinner, carry-out, delivery and catering. Contemporary Chinese restaurant and bar introducing authentic Hunan cuisine with lunch and dinner, plus Baijiu, wine, sake, and cocktails. Award-winning Jasper White’s Summer Shack specializes in seafood and New England-style dishes perfect for locals and visitors. For a casual night out with terrific food, the Summer Shack offers the freshest seafood available, including White’s famous pan-roasted lobster, hearty chowders, grilled fish, fried chicken, a huge raw bar, and even corn dogs for kids. Talulla is a small restaurant, operated by husband and wife duo, Conor Dennehy and Danielle Ayer. The restaurant is named after their infant daughter, Talulla. The atmosphere is warm and cozy, and the service is elegant and refined. They have a small cocktail program centered around low ABV cocktails, and the wine list features world-class wines. Named after the bustling entertainment district of Temple Bar, Dublin, here you can relax, dine, and enjoy the wide selection of wine, beer, and single malt scotches. 126-seat Tuscan-style restaurant located in Harvard Square, serving lunch and dinner with private dining available. Viale serves ingredient-driven, Mediterranean-inspired food in a warm and casual environment. The rotating menu showcases seasonal pasta dishes, appetizers, and entrées like simply grilled pizzas and meats perfectly charred on a wood-fired grill. All major ingredients are locally sourced, meaning the shellfish, meat, and produce are procured by the chef from some of the finest farmers and fishermen of New England. The wine list features the vintages of small organic and biodynamic growers, and the artisanal cocktails and craft beers are all created with the same care as the food on the menu. Progressive American cuisine focusing on locally sourced ingredients combined with products from around the globe and innovative techniques. Bergamot offers creative craft cocktails, microbrews, full liquor license, and value-priced wines. The food and drink of Germany, Central Europe, and Northern Italy. Cafe Escadrille has been hosting a fine dining experience in Burlington for more than 40 years. With all of their unique dining experiences, Cafe Escadrille has something for everyone. In addition to the restaurants, they also have function rooms and host everything from weddings to board meetings. The Capital Grille boasts an atmosphere of power dining, relaxed elegance, and style. 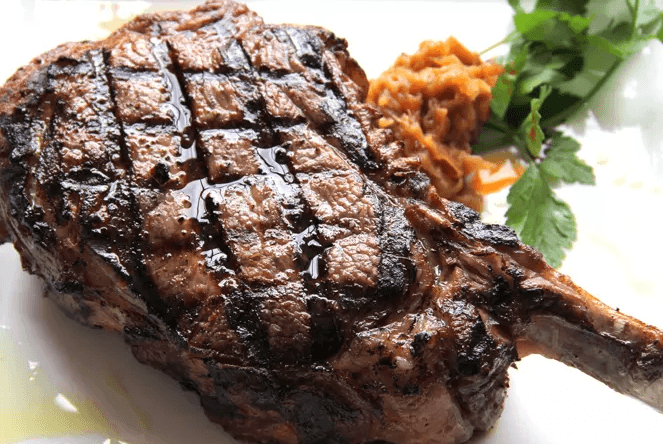 Nationally acclaimed for dry aging steaks on the premises, the Grille serves classic steakhouse offerings such as chops, large North Atlantic lobsters, and fresh seafood. 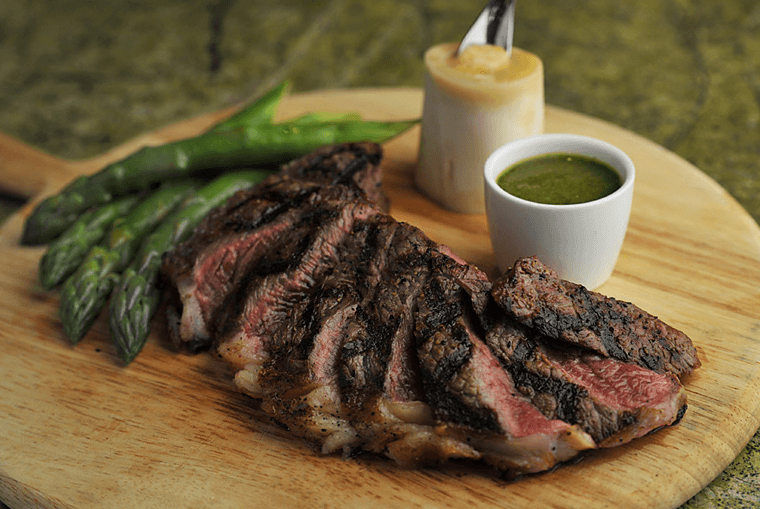 CHOPPS American Bar and Grill is a modern chophouse serving inspired American cuisine from the talented CHOPPS culinary team and Consulting Chef Daniel Bruce. Succulent cuts of all natural beef, fresh local seafood, and regional specialties are paired with artfully crafted cocktails and an extensive wine list featuring appealing selections by the glass and bottle. A contemporary take on a quintessential American dining experience, CHOPPS welcomes guests into a relaxed, warm setting for exquisite food, tempting drinks, and live entertainment. Located inside the newly renovated Boston Marriott Burlington, CHOPPS draws diners into the inviting bar, dining room, and seasonal outdoor terrace (The Terrace @ CHOPPS) for breakfast, lunch, dinner, and drinks seven nights a week. Davio’s Lynnfield seats more than 250 people in the MarketStreet Complex. Davio’s pairs a state-of-the-art kitchen and exceptional restaurant design with an inviting place to dine. Enjoy exceptional food, drink, and service provided by a professional staff. The open kitchen and large lively bar resemble the Boston location, with an added patio and fireplace in the mix. Davio’s signature Northern Italian Brandt Beef steaks, handmade pasta, and authentic pizzas combine to create a dining experience that is unforgettable. Attention to detail and attentiveness to your needs is evident in everything they do. Del Frisco’s Grille uses local ingredients alongside new classics that are easy to share with friends, like flatbreads, cheesesteak eggrolls, and ahi tacos. The menu also includes a selection of prime steaks, hearty salads, and chef-inspired entrees. Within a dramatic setting, Matadora blends tailored tapas with classic staples and bold drinks for a unique, bull-stopping dining experience. A Brazilian Steakhouse with full service and liquor, they offer an “all you can eat” dining experience Rodizio. The BBQ chefs bring and carve tableside service of lamb, chicken, pork, and beef. They also have unlimited offerings of 20 kinds of salads and hot dishes from the buffet and salad bar. Drinks and desserts are not included. Authentic Italian restaurant and pizzeria. Brick-oven imported from Italy and pizza chef from Associazione Verace Pizza Napoletana. 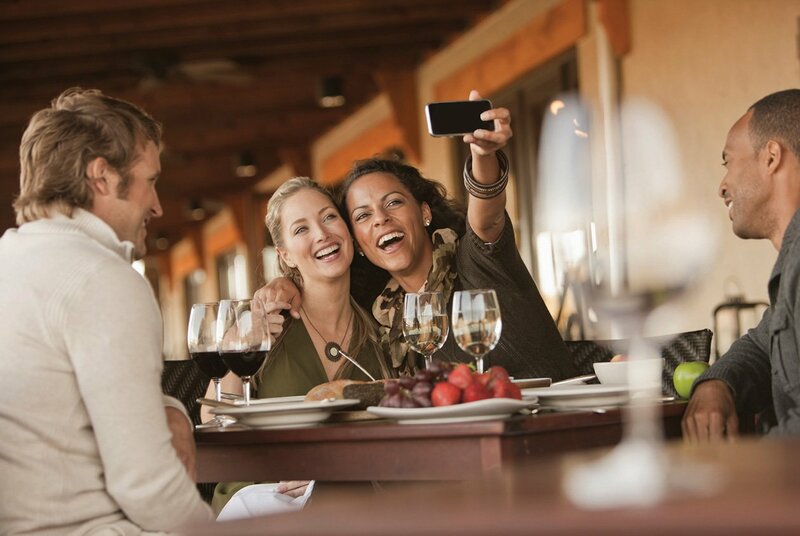 Enjoy a fresh dining experience that celebrates living well at Seasons 52 grill and wine bar. With its seasonally inspired dining choices, adventurous wine list, and casually sophisticated ambiance, there’s always something new to discover, 52 weeks per year. Live entertainment nightly. Private dining and chef’s table available. An artisan Italian restaurant specializing in scratch-made pasta, pastries, gelati, and butchered meats. Rustic chic décor with outdoor seating and outdoor bar. Abby Park offers American cuisine with a modern and creative twist. Mediterranean and European influences infuse classic comfort dishes with a hint of worldliness, making the menus fun yet familiar. The extensive wine list and fine selections of cocktails and single malts complement the most tender and flavorful steaks. An abundance of fresh pasta and homemade desserts showcases the kitchen’s creativity and passion. Whether having a family gathering or celebrating a special occasion, the polished service and cordial staff make sure you and your guests have an enjoyable and delightful experience. Davio’s Northern Italian Steakhouse pairs a state-of-the-art kitchen and exceptional restaurant design in Braintree with a warm, inviting place to dine. Attention to detail and attentiveness to your needs is evident in everything they do. Davio’s is a beautifully designed, upscale fine dining restaurant featuring Northern Italian cuisine and prime steaks, and 100 outdoor seats on its seasonal patio. Novara rivals the quality and authenticity of Boston’s North End restaurants in a suburban setting. Set in the historic Milton Theatre, Novara has a casually sophisticated atmosphere. Innovative New England fare is served in a handsome dining room with a fireplace and flag tapestries. Besito, translated as “little kiss,” strives to delight guests with the warmth of a private hacienda offering thoughtful details and cuisine. Besito was rated “excellent” by the New York Times with décor that embraces all the flavors and festivity of Mexican cuisine. Enjoy fresh, table-side guacamole and more than 75 tequilas all straight from Mexico. A neighborhood rotisserie and wood-fired grill in the Watertown Arsenal, Branch Line is built on a foundation of personalized hospitality. Featuring a year-round patio and outdoor bocce court, Branch Line offers something for everyone with 20 ever-changing taps of craft beer, a value-oriented wine list, and a kid’s menu. You’ll quickly see why The Boston Globe proclaimed “we’ve never been happier in our lives,” after an evening at The Capital Grille. Drawing from its New England roots, The Capital Grille’s relaxed elegance and style have become a trademark of the Boston area. Join them just east of the Atrium Mall and a million miles from the ordinary. The perfect combination of classic dishes and Davio’s signature Northern Italian steaks with Davio’s approachable style. Davio’s pairs a state-of-the-art kitchen and exceptional restaurant design with an inviting place to dine. Enjoy exceptional food, drink, and service provided by a professional staff. The mahogany wood tables, open kitchen, and large lively bar provide theatrical flair and set the perfect stage for handmade pasta, authentic pizzas, and prime Brandt beef. Del Frisco’s Grille uses local ingredients alongside new classics that are easy to share with friends: flatbreads, cheesesteak eggrolls, ahi tacos. The menu also includes a selection of prime steaks, hearty salads, and chef-inspired entrées. Del Frisco’s Grille Westwood is a stylish, modern restaurant with a vibrant ambiance where life is celebrated around the table. Legal Sea Foods first debuted in Chestnut Hill in 1975; now they’re at a fresh new location at The Street on Route 9. The second floor restaurant location features expansive views overlooking Hammond Pond, a large bar, and a rooftop deck. Riverbend Bar and Grill offers American cuisine with fresh seafood options, great steaks, and fantastic views of the Charles River. Book a special occasion or just enjoy a night of great dining. Try the Saturday night buffet or fill up on Sunday brunch. Savor an evening in the vibrant bar, the elegantly designed dining room, or host a memorable private party or corporate event in one of the three private dining rooms. All with Ruth’s signature sizzle, legendary USDA prime steaks, fresh seafood, scratch-made sides and desserts, handcrafted cocktails and award-winning wines, and a level of hospitality that would make their namesake proud. Located in Belmont, Savinos Grill invites you to join them for an evening of elegant dining in a beautiful setting. The unique offerings combine the flavors of the foods of Italy and the surrounding Mediterranean regions. They carry a diverse selection of international and domestic wines, as well as fine liquors. Come by for a taste of something unique and wonderful. They are open Monday through Saturday, 5 p.m. to 10 p.m. They are open on Sunday for private functions only. Savor the experience of a different time and place while sipping sangria at the bar or sampling a medley of tapas in an elegant and spirited dining room and café. Solea Restaurant and Tapas Bar embraces the romantic spirit of colonial South America while honoring its southern European culinary heritage. Today in Spain, tapas are a cherished tradition of sophisticated little dishes eaten at all times of the day and night. Enjoy the diverse menu and wine list from Spain, Portugal, Chile, and Argentina. For more information on participating restaurants, prices, menus, and reservations, visit dineoutboston.com. Bon appétit!